Discover the skin-perfecting formulas of the Hylamide Finisher collection, an advanced skincare range that is designed to enhance the beauty of the complexion. The innovative formulas offers some of the most advanced blurring, radiance-enhancing and photographic technologies to give the skin a flawless finish, on and off the camera. 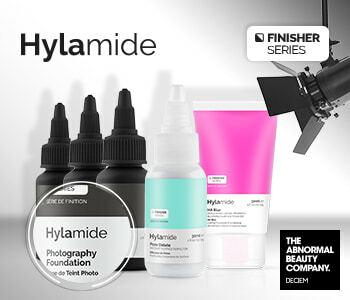 Well loved within the beauty blogger community, the Hylamide Finisher range will help you to achieve extraordinary results.